Bosch Washing Machine Drain Pump number 0043644. Product TypeClothes Washer Drain Pump. Designed to fit specific Bosch manufactured washer models including Hotpoint and RCA. Model WAT28400UC. SKU: 32294. Type Front Load. The unit is new. Self Cleaning Lint Filter No. Capacity 2.2 Cu. There may be other minor imperfections present that can go unnoticed in certain lighting conditions. Bosch Axxis Plus Series WTB86202UC. 24" Ventless Electric Dryer with 4.0 cu. ft. Capacity. Dryer Type: Condensing. Washer Plugs into Bosch 240V Dryer. Minimum Stack Height: 67 3/4". 1-DINGS/SCUFFS/SCRATCHES ON THE BOTTOM LEFT FRONT CORNER OF THE UNIT. The unit is new. There are multiple minor scratches across the top of the unit. There may be other minor imperfections present that can go unnoticed in certain lighting conditions. See our website or call us for hours. The Bosch Detergent Efficiency System in the Axxis and Axxis Washers contains laundry detergent within the active washing area of the system. Axxis Laundry Systems expertly cleans and cares for your clothes while saving over 12,000 gallons of water and hundreds of hours of energy usage each year. Bosch Axxis Series Compact Front Load Washer with 2.2 cu. ft. Capacity, 15 Wash Cycles, 1200 RPM, Stainless Steel Drum, in White. Energy consumption :157 kWh per year, based on 220 standard washing cycles. Water consumption 9020 litres per year, based on 220 standard washing cycles. Noise level washing : 54dB (A) re 1pW: Noise level spinning:74dB (A) re 1 pW. Ordered 2 by mistake. Only needed 1. Other board fixed my washer perfectly. Never been opened. WITH FULL MANUFACTURES WARRANTY. • Sleek, functional, compact design, WAT28401UC washer has a white exterior with a see-thru door and a sliver door ring, perfect design match to Bosch 300 series dryer. International order designation: WAK28227. -Service material no. : WAK28227. MPN WAK28227. Modell WAK28227. Performance and consumption capacity: 7 kg energy efficiency class: A power consumption 174 kWh/year on the basis of 220 standard washing cycles for 60 ° C and 40 ° c cotton programs full filling and filling of part of, as well as the consumption of the modes of operation with low power consumption. International order designation: WAK282E1. -Service material no. : WAK282E1. Performance and consumption capacity: 8 kg energy efficiency class: A energy consumption from 196 kWh per year on the basis of 220 standard washing cycles for 60 ° C and 40 ° c cotton programs full filling and filling of part of, as well as the consumption of the modes of operation with low power consumption. Service material no. : WAE28220. -International order designation: WAE28220. These programs are suitable for cleaning normally soiled cotton linen and are most effective when used in relation to the combined energy and water consumption. Bosch WLT24440 - washing machine. -International order designation: WLT24440. -Service material no. : WLT24440. Marke Bosch. -Software update: No. -Cold / hot water connection?. - Drum Material: Stainless Steel. International order designation: WAK28248. -Service material no. : WAK28248. Performance and consumption capacity: 8 kg energy efficiency class: A energy consumption from 196 kWh per year on the basis of 220 standard washing cycles for 60 ° C and 40 ° c cotton programs full filling and filling of part of, as well as the consumption of the modes of operation with low power consumption. 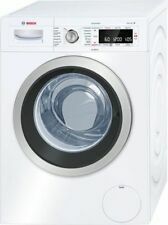 Bosch WAW28500 - washing machine. MPN WAW28500. Modell WAW28500. -International order designation: WAW28500. -Service material no. : WAW28500. Marke Bosch. Flow sensor for optimum water consumption. -Depth (mm): 590 mm. Bosch WAN280A1 - washing machine. -International order designation: WAN280A1. -Service material no. : WAN280A1. Marke Bosch. EU energy label. -Optional accessories: WMZ20490, WMZ2200, WMZ2380. -Software update: No. Bosch WAY287W5 - washing machine. -Service material no. : WAY287W5. -International order designation: WAY287W5. Marke Bosch. EU energy label. -Optional accessories: WMZ20490, WMZ2200, WMZ2380. -Software update: No. 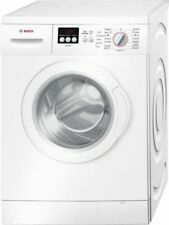 Bosch WAW32541 - washing machine. -International order designation: WAW32541. -Service material no. : WAW32541. MPN WAW32541. Modell WAW32541. Marke Bosch. -Device type: front loader. -Sound power spin dB(A) re 1 pW: 73 dB (A) (during wash and spin operation in the standard program "cotton 60 ° C"). International order designation: WAW28540. -Service material no. : WAW28540. MPN WAW28540. Modell WAW28540. Performance and consumption capacity: 8 kg energy efficiency class: A energy consumption of 137 kWh per year on the basis of 220 standard washing cycles for 60 ° C and 40 ° c cotton programs full filling and filling of part of, as well as the consumption of the modes of operation with low power consumption. International order designation: WAW28550. -Service material no. : WAW28550. Performance and consumption capacity: 8 kg energy efficiency class: A energy consumption of 137 kWh per year on the basis of 220 standard washing cycles for 60 ° C and 40 ° c cotton programs full filling and filling of part of, as well as the consumption of the modes of operation with low power consumption. Bosch Nexxt 300 Series Front Load Plus Washing Machine 2.2 cu.ft. VGC!! Ft. Contractor's Special! Quiet Performance - Bosch laundry appliances use brushless motors, suspended pump systems and special sound-deadening material to keep them exceptionally quiet while in operation. Bought on September 2016, almost new!!! The washer is a white front loader. Great condition, like new less than a year old. The washer will have to be picked up in Raleigh, NC. AKO 546740. BSH 5500002937. from a Bosch WFL2890 / 01 FD 8201 washing machine. EEP 49091-00. Repairs require expertise. proper function. From a Bosch WBB24750 / 01 FD 8511 washing machine. Repairs require expertise. Miele T.Nr. : you may experience may be different! proper function. BSH 5560004110. from a Bosch WAA28222 / 14 FD 8804 washing machine. AKO 706716-08. Repairs require expertise. proper function. From a Bosch WAE28180 / 05 FD 8704 washing machine. AKO 710001-00. BSH 5560006568-01. used spare parts. Miele T.Nr. : you may experience may be different! From a Bosch Classixx 5 WAA28222 / 24 FD 8906 washing machine. BSH 5560004110. AKO 706716-08. Repairs require expertise. proper function. Signs of use. From a Bosch WAE3239X / 16 FD 8903 washing machine. AKO 718440-02. BSH 550008967-02. Repairs require expertise. proper function. Signs of use. Bosch Portable Washer 24" Wide for parts WFR2460UC/01 GERMANY made. Condition is Used. Local pickup only. Bosch 220 Volts portable 24" wide operable washer for parts. Motor gone. But not from leak. Rubber boot is clean, no spots. stainless steel drum, approx. / or 5 mg. load of dry clothes drum. Easy fits under your counter. 331/2 " heigh, 22" deep.